1. The judges all but handed him the title before. Fans do not like to be dictated to as far as voting. So, there was some spite votes. 2. Kris got the "cute" vote. All the 13 year-old girls voted for Kris a thousand times each. 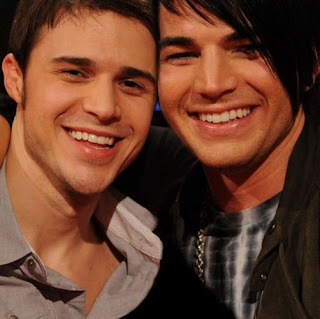 The only ones that voted for Adam probably fall in the gay/bi/curious category. 3. In the real vs fake contest, Kris won that contest. Call me skeptical, but I doubt a lot of people who like "the genuine deal" would vote for plastic-looking, eye-lined, polished Adam. That doesn't mean he didn't deserve the votes, just that he didn't get them from that group. 3.a A subset of the above reason are those who was really pulling for Danny Gokey. Because of the above reason, I believe Kris took the Gokey vote. 4. It recently came out (in the proper circles), that Kris is a Christian and was somewhat active in his church's ministry. Christians just LOVE to vote for their own kind. The fact that this wasn't universally known eliminated the counter-Christian vote which is more visible, if not in high number. Everything in life seems to be about things other than what they are supposed to be on face value. The fact is that Adam should have won it if it was purely a singing contest. I don't know if I should be ashamed or not, but I was content with the outcome.